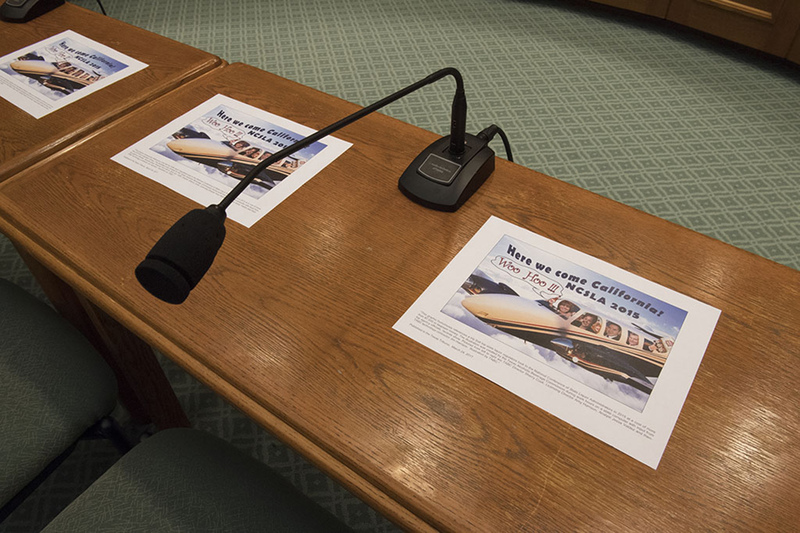 For more than three hours, top TABC officials were grilled by House members for misusing state resources, taking trips to Hawaii on the taxpayers’ dime, mixing vacation with state duties, misreporting who has been assigned which state-owned vehicles, and cozying up to the very industry they’re supposed to be regulating. A week after Texas lawmakers voted to keep state liquor regulators from traveling out of state, the head of the Texas Alcoholic Beverage Commission announced that she was resigning from the board of one of the top national liquor industry groups whose meetings she and others spent thousands of dollars attending. TABC Director Sherry Cook, under fire for taking trips to swanky resorts on the state’s dime, did not give a time frame for her departure from the National Conference of State Liquor Regulators (NCSLA), but she made her announcement amid often harsh questioning from a panel of Texas lawmakers Thursday. “I have decided to step down from that position,” Cook told the panel. Her announcement marked one of the least contentious moments in a hearing that otherwise saw members grilling the top TABC brass for misusing state resources, taking trips to Hawaii on the taxpayers’ dime, mixing vacations with state duties, misreporting who has been assigned to which state-owned vehicles and cozying up to the very industry they’re supposed to be regulating. 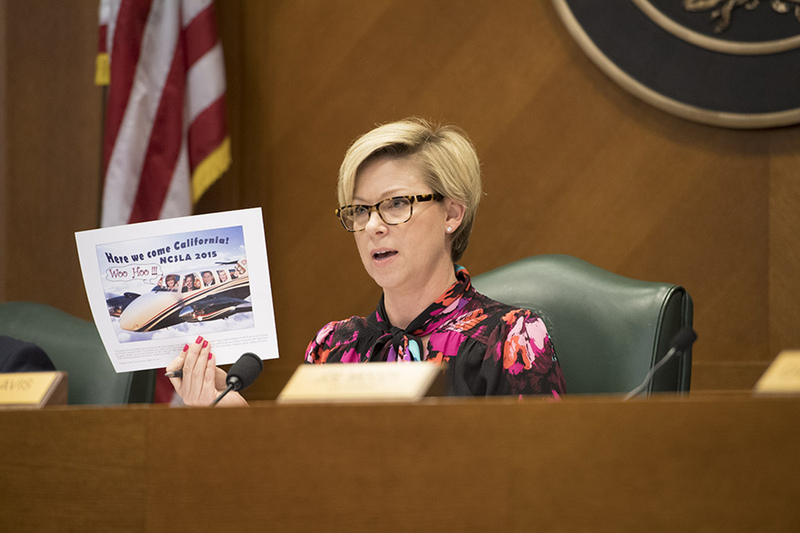 Rep. Sarah Davis, R-West University Place, who chairs the House Committee on General Investigating and Ethics, rebuked TABC for keeping “wildly inaccurate” data on their state-provided vehicles. Davis pointed to figures showing agency honchos had spent more than two months traveling out of state on NCSLA junkets or board meetings since 2013. The NCSLA is funded largely by contributions from the liquor industry, and the committee members pressed Cook to explain how she and others have gotten reimbursed for travel to attend the group’s meetings. 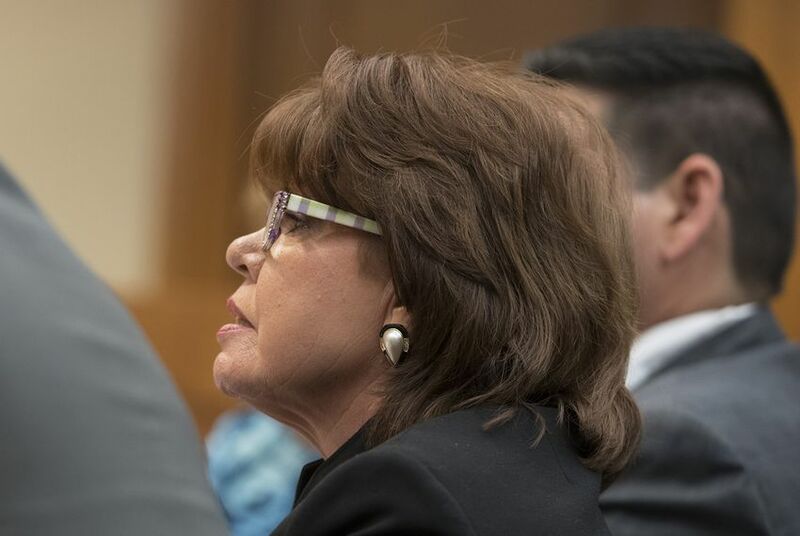 Apart from reimbursements for the TABC licensing director to fly to Hawaii to speak on an industry panel in 2013, Cook said she was the only agency employee who had been paid by NCSLA for travel expenses. When she has attended NCSLA board meetings, Cook said, the state fronts the money and Cook then gets reimbursed personally from the group. Then, she turns around and writes a check to the state, she said. Davis suggested the arrangement could be interpreted as a state loan to NCSLA and told Cook these transactions between a private and state entity made it “very easy to game this system." Cook said she could “account for every dime” from NCSLA and would be happy to turn those records over to Davis. Davis set a pugnacious tone for the hearing before it even began. She had aides distribute to the TABC witnesses copies of a controversial flyer — created by TABC staff with input from Cook and another top agency official — depicting the top brass headed to one of the NCSLA conferences while guzzling or holding bottles of Lone Star beer. Rep. Giovanni Capriglione, R-Southlake, asked Cook if she thought creating the flyer represented a “misuse of state resources,” which is illegal. “I would characterize it as an inappropriate use of our time to create such a graphic, especially in how it’s been portrayed,” Cook said. When asked if it was also a misuse of state resources for Cook and others at the agency to exchange emails about creating it, she fell on the sword. 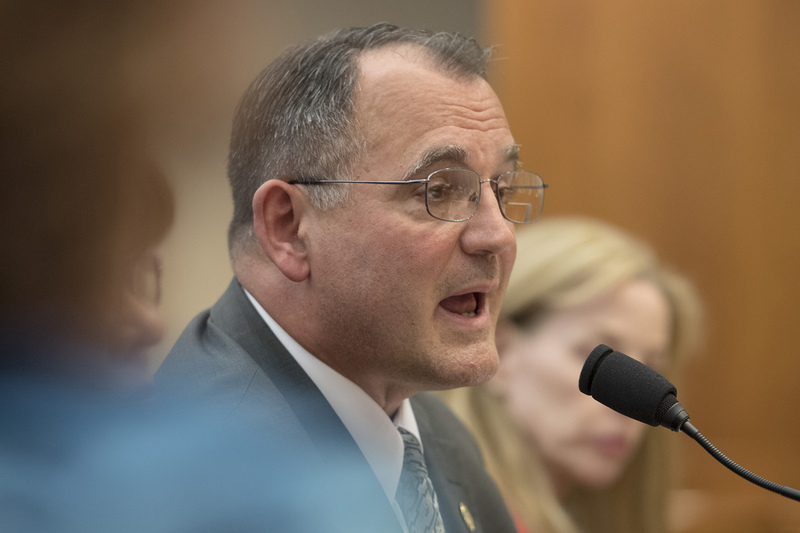 Rep. Chris Turner, D-Grand Prairie, took the TABC’s second-in-command, Deputy Executive Director Ed Swedberg, to task for billing the state for his personal mileage for a 2015 trip to an NCSLA conference in San Diego. Swedberg acknowledged taking vacation time to bring his family with him to San Diego and back. But he said he actually saved the state money because he only billed what airfare would have cost — $448. Otherwise, he would have incurred parking and other costs had he actually flown. But Turner said it didn’t seem right to be combining work with a family vacation. The panel also pressed Cook and Swedberg to justify why they became certified peace officers even though their jobs don’t require it. The designation has allowed them to collect “hazardous duty pay” — something Cook received while in Hawaii — while getting take-home cars, free gas and array of weapons, including an assault rifle. Swedberg said with his certification he has participated in sting operations to combat underage drinking, conducted undercover operations and performed ID checks on Sixth Street in Austin. “It allows me to do my job better,” he said. For her part, Cook noted she sometimes had to deal with “sensitive information” and also cited her work helping to oversee TABC agents dispatched to assist after the 2011 Bastrop fires and the 2013 fertilizer plant explosion in West. “It sounds like you were doing administrative functions, not law enforcement functions,” Davis said. The Houston Republican reserved some of her harshest comments for the shoddy vehicle data, provided to the office of the state comptroller, that showed former employees still listed as having active state cars and listed Cook in a 2008 Impala with more than 100,000 miles on it. Cook acknowledged that was two vehicles ago. She now has a Ford Explorer she uses to commute to and from her home in Bastrop, she said. Cook blamed a computer snafu for the inaccurate data. “Today was the first time I heard that,” Peña said. “Well, add that to your list,” Davis responded.